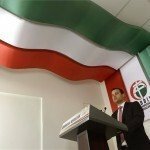 Budapest, March 15 (MTI) – The leader of the opposition Jobbik party on Tuesday told a party event to mark the March 15 national holiday that Jobbik will launch a “spring anti-corruption campaign”. Freedom of the press is not possible without a free society and vice versa, meaning that the press freedom truly mirrors the state of a society, the leader of the Socialist Party said. 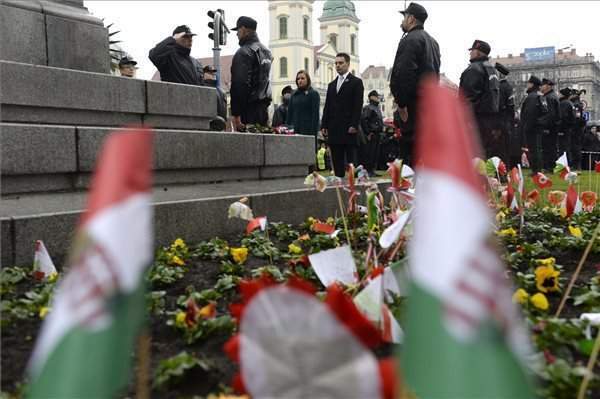 Tyranny in 2016 comes in the form of Prime Minister Viktor Orbán and this new form of tyranny attempts to enforce its will not in Vienna, but in Budapest on Kossuth Square, the leader of the leftist opposition Democratic Coalition (DK) said. 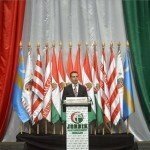 Co-leader of the opposition Dialogue for Hungary party, Gergely Karácsony, on Tuesday accused the government of opposing the people since it had “dismantled the third republic” and “ruined everything” built ever since the 1989-90 change in political system. The opposition Együtt party said the “Orban regime”, which “can no longer be considered democratic”, has launched an attack against freedom. Addressing party faithful in Budapest’s Petofi Square, Gábor Vona called for “thieving politicians to be put behind bars”. Referring to attempts to change the constitution to give the state broad counter-terrorism powers among other moves, he accused the government of losing all self-control. Referring to widespread street protests against the government of Ferenc Gyurcsány in 2006, he said: “The Hungarian people in 2006 took to the streets with every right in protest against a lying and corrupt government, and this was an example to successive generations.” Vona vowed to bring before parliament a resolution proposal on “rehabilitating” 2006. In his speech, Vona asked supporters to show enthusiasm and love of homeland and freedom not only at national celebrations but in their daily lives, too. József Tóbiás was speaking at the Free Press Prize award ceremony. 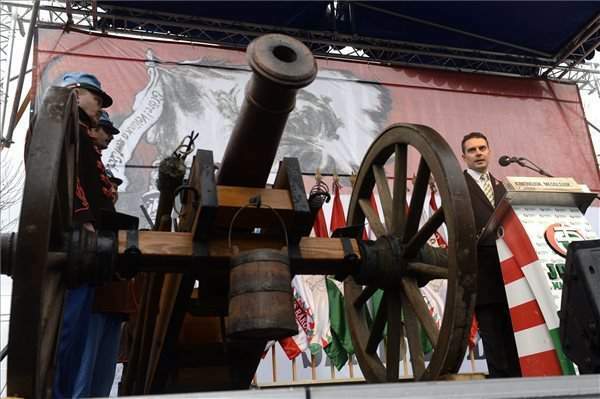 The prize, founded by the Socialist Party, was presented to television journalist Krisztina Bombera, actor Balázs Galkó and journalist Ernő Klecska, on the occasion of the anniversary of the 1848 revolution. Tóbiás said there is no reason to celebrate the freedom of the Hungarian press today. “We are celebrating not the freedom of the press that exists but the freedom of the press that we yearn for,” he said. Fidesz has created largely impossible conditions for the part of the press that does not serve its interests, he said. But this will not last forever; they could fall badly from here, Tóbiás said. 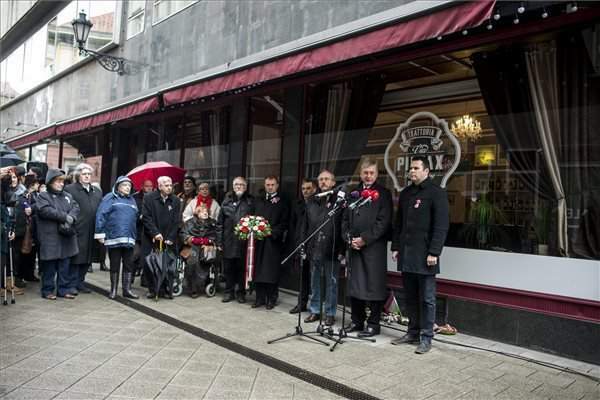 Speaking at his party’s commemoration of Hungary’s 1848 revolution held in front of Budapest’s Pilvax Café, a historic scene during the revolution, Ferenc Gyurcsany said that when Orbán uses the word “freedom”, he “tarnishes one of our most beautiful words”. Gyurcsány told the several dozen people in attendance that if words had smells, the word “freedom” would smell like spring, but when spoken by the prime minister, the word “emits a foul stench”. 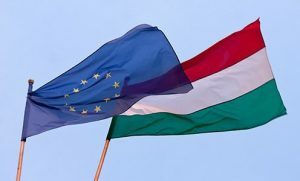 The former prime minister said the Hungarians whom DK represents want to live in a “tranquil” country of European civil liberties, equality and fraternity where people care for one another. 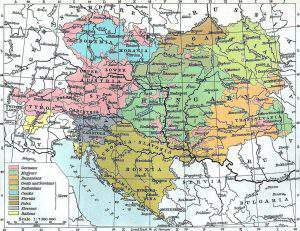 Gyurcsány urged the people in attendance to take part in the teacher demonstration scheduled for the afternoon. Karácsony said at a commemoration of the 1848-49 revolution held in the City Park that a stronger republic needs to be built that does not serve the elite but rather all citizens. He said the republic was not the business of political parties “and especially not of those parties which have left the third republic at a loss”. Rather it is the business of the people, he said. 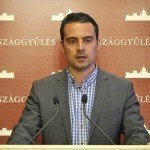 Speaking at the party’s March 15 commemoration, Szigetvari said the poor and the underprivileged only have access to “government propaganda”, therefore, they do not have any freedom at all. 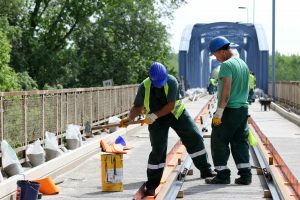 The opposition politician said “the cause for freedom is doing badly” in Hungary today, not only the freedom of speech and opinion, but also the freedom of enterprise and prosperity because many have no chance for a life of stable civilian prosperity.